Hey blog! In some previous post I had said that I was attempting to draw Niall Horan on Photoshop, but I found out that it was sooo hard to paint his hair, it was taking me too long! 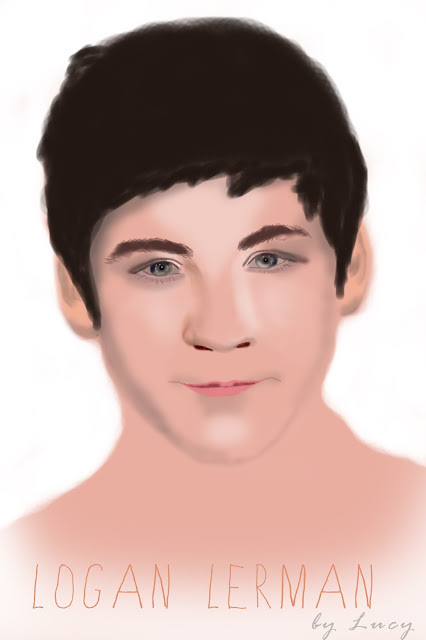 haha, so I decided to draw my secret husband Logan Lerman.. Okay I know I know, this is a big FAIL, but since it's my first draw on Photoshop ever I wanted to share it on my blog so you guys can leave your thoughts down below and tell me how I can improve, maybe? You did a great job, it definitely looks like him!